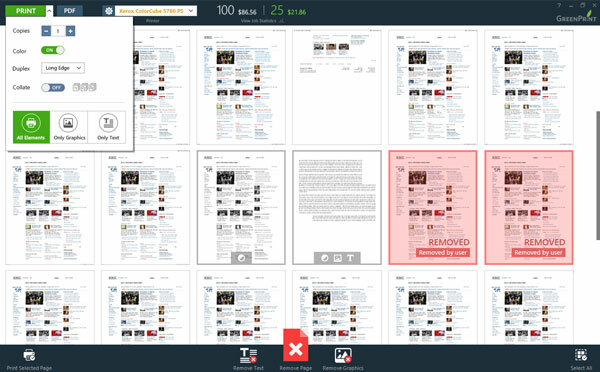 Identify and eliminate unnecessary pages and content. Users in your organization identify their own carbon footprint and print costs. Allow users to select the most efficient printers. The printers' cost and color code are configured by the GreenPrint administrator using GreenPrint Analytics web server. Users are aware of print costs to your organization and environmental savings. Default printing to Black & White printing or even force users to do only Black and White printing. Single click user interface allow users to print only text or images. 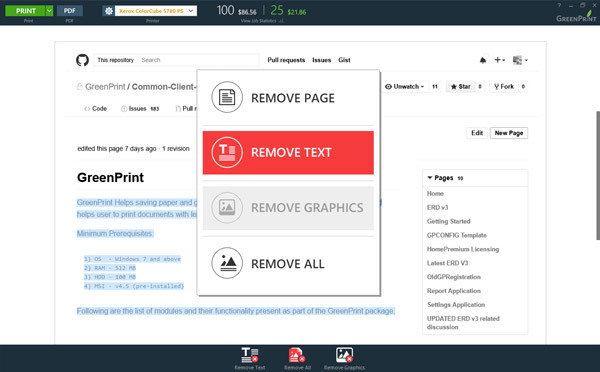 Default or force your users to use Black and White only printing with the help of GreenPrint Analytics web server. Allow your users to remove pages or content within a page. These could be ads in a portal or any unwanted images. Enable GreenPrint smart filtering to remove pages automatically that have only a few lines or line numbers set under smart filtering option by the user. Allows user to view instant print statistics report in various simple charts with respect to printing pages and savings. 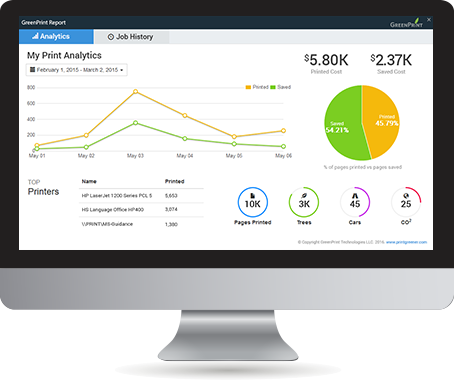 Allow user to view their print job history and helps them to track each print jobs based on specific date range. Overall GreenPrint Reports helps people within your organization to view printing as an extensive cost to your company and encourages them to do their part being efficient. Looking for print savings opportunities? GreenPrint Preview+ is available for business as an Enterprise Suite Product and also available as a standalone product for home and business users.